Read the full report on this project Enhancing the Climate Resilience of Africa’s Infrastructure: The Power and Water Sectors, published by the Agence Française de Développement and the World Bank. Many African nations and international donors have plans for significant investment in energy and water infrastructure over the next few decades. While these investment plans are necessary to continue improving the continent's quality of life and economic development, they do not currently account for the potential impacts of climate change, which may significantly affect hydropower availability, demand for irrigation and energy, and many other factors relevant to these investments' success. 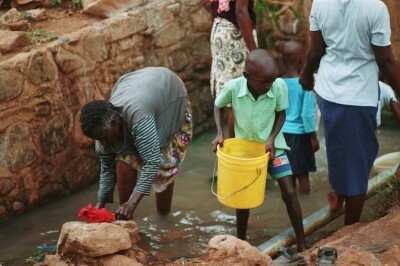 In 2012, the World Bank and its donors launched this project — led by the Stockholm Environment Institute (SEI), RAND Corporation, and KTH — in order to quantify the impacts of climate change on African water and energy infrastructure, identify and evaluate robust adaptation options, and formulate actionable recommendations for policy makers. The project considered how investment plans and associated policies — including dams, transfers, and efficiency programs — will perform under a wide range of future conditions, which include climate change, economic growth, policy reforms, among others. Using state-of-the-art climate data and methods for uncertainty management, the project quantified the impacts of climate change on infrastructure performance, considering interdependence among factors such as energy and water, and helped to identify and evaluate robust responses to these impacts. To enhance its continent-wide analysis, the project conducted workshops focused on two river basins: the Orange-Senqu and Volta. These workshops gave local decision makers and other experts important opportunities to provide input and gain a deeper understanding of the results of the analysis. The workshops helped to focus the analysis of the rivers' water and energy systems towards issues of key interest to local decision makers; familiarize local decision makers with the project and its expected outcomes; inform the analysis of potential climate adaptation options in the rivers' basins; and lay the foundation for dissemination and capacity building based on the project data, models, and results. Working with the World Bank, RAND researchers used robust decision methods to provide the first continent-wide evaluation of the potential effects of climate change on such investments. They also examined the potential impacts of climate change on five specific hydropower and irrigation projects, finding that although the effects could be substantial, appropriate adaptations identified by the study could restore much of the planned performance even in the face of deeply uncertain future changes in climate. The full report Enhancing the Climate Resilience of Africa's Infrastructure: The Power and Water Sectors, was published by the Agence Française de Développement and the World Bank in September 2015. This work uniquely catalogues planning-level analysis of climate impacts and climate adaptation for Africa's power, irrigation and water supply sectors on steadily held climate conditions. Possible climate impacts are economically evaluated, and robust strategies are identified. Recommendations are offered for policy and decision makers to immediately increase local and regional infrastructure resiliency. RAND experts David Groves, Robert Lempert, and Zhimin Mao were contributing authors on this report.